Okay, it's 420 baking time!!! Basically what we'll be doing is making a cannabis infused cooking oil, to be used with brownies in this case. I followed my recipe to the letter a couple of days ago, and took a few photos. This recipe will help you make really great brownies, and it works very, very well. 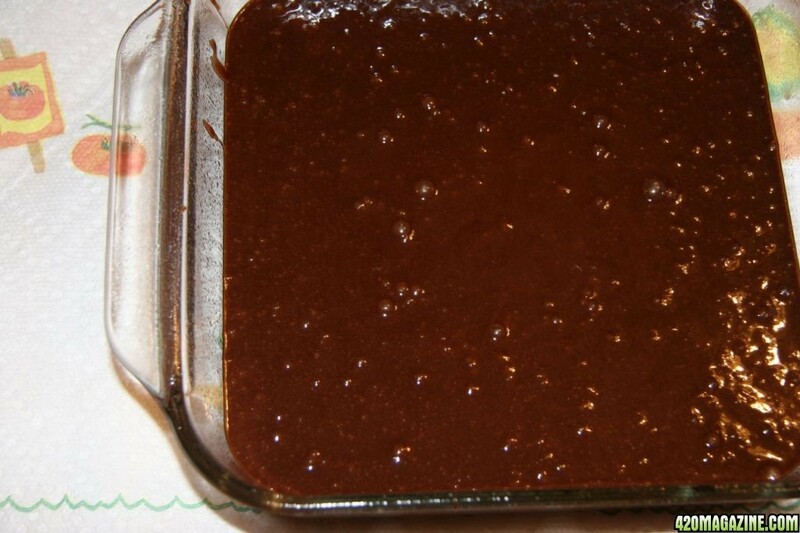 It should be noted that, while I'm making brownies for the purposes of this recipe, the cannabis infused oil we're making could be used for many other recipes containing cooking oil. 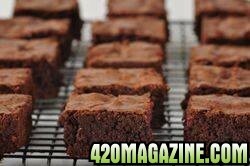 Brownies are nice because the marijuana flavors blend nicely with the brownie flavor, but I sometimes use the oil I make for things like cookies, etc. There are simpler recipes for making pot brownies, but the few extra steps in mine make a really big difference in the potency and quality. It's not as complicated as it looks or sounds, and is all easy to do. 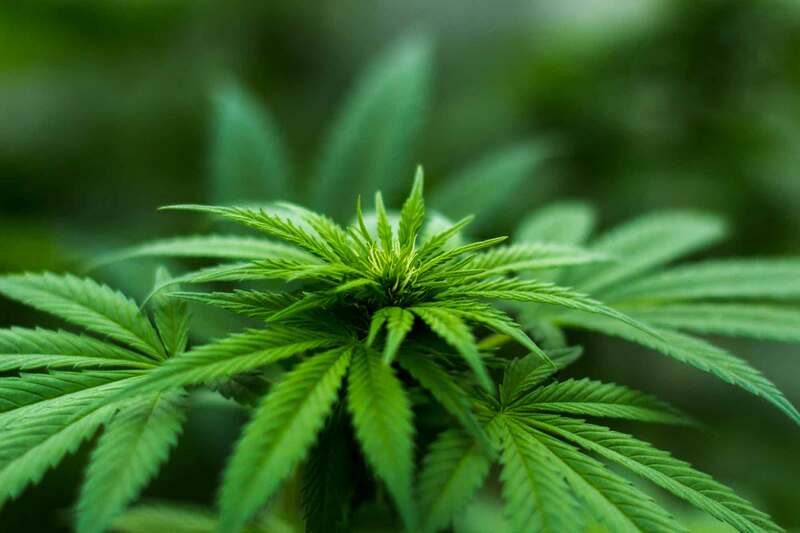 For example, you can skip the "decarbing" process and just heat the ground herb in oil, but your high will be weaker, and potency will not be as good. Also, the Soy Lecithin is an optional step, BUT, since I've added this to the recipe, the end effect is nearly twice as potent brownies. It makes an incredible diference, and I would encourage everyone to NOT skip this step if you want really amazing brownies! 1/2 cup of finely ground shake/sugar leaf trim. Once ground up, my 1/2 cup weighed about 1/2 ounce. Bud can be used, but you probably won't need as much. This is a really great way to utilize trim leaves, for those that grow their own... The 1/2 cup, 1/2 ounce quantity works well for me, but everyone has different tolerance. Don't skimp though, they're not as fun when too weak. ** Canola oil works fine. 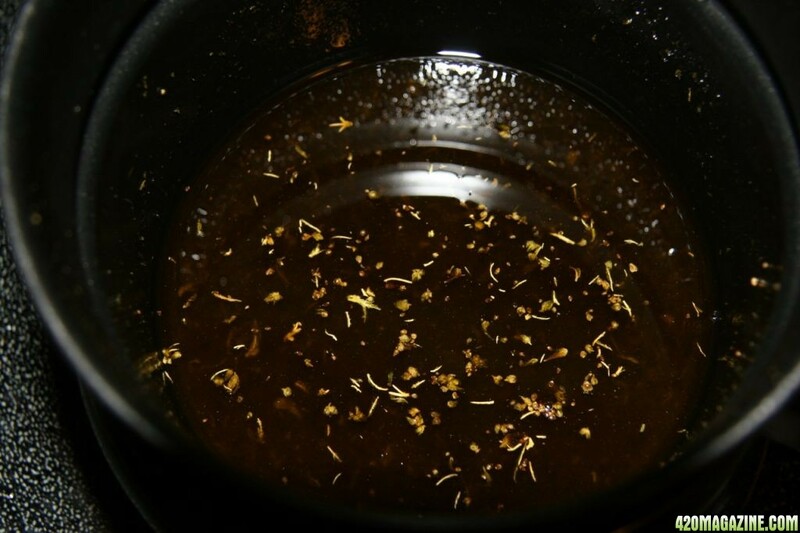 I use a combination of oils, to give more ways for the cannabis to infuse itself into the oil. I learned this trick from a very experienced cannabis baker. For example, I just made a batch that had a little canola oil, coconut oil, peanut oil and almond oil mixed together. *** Candy thermometer isn't necessary, but it helps ensure you are keeping the temperature at a good level. 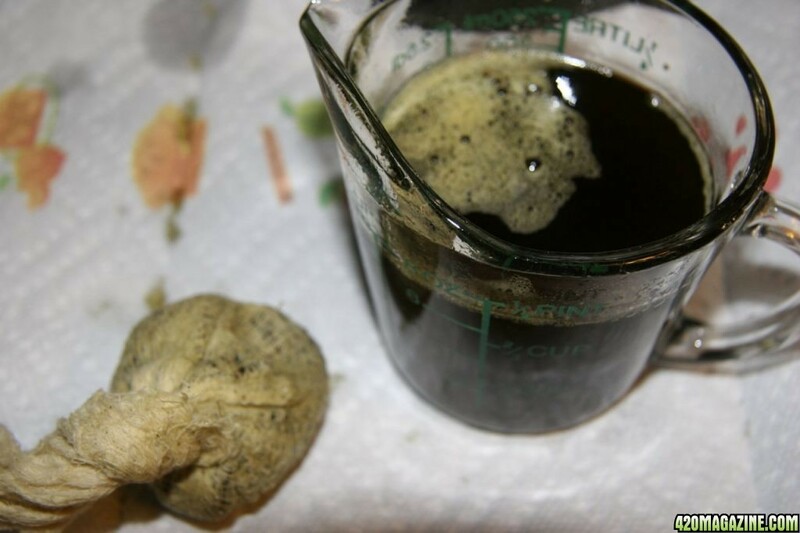 Be careful to keep the oil below simmering so you don't prematurely vaporize the THC/CBD. Make sure your herb is ground up into a fine material - the finer the better. I use sugar-leaf "shake" as my primary cooking herb. I grind it up in a cup with a small handheld blender, but an herb grinder would work (a little slower, but it works). Advanced Tip: Want really, really amazing brownies? I use trim leaf from several different strains, all mixed and ground together. The brownies I just made had Magic Bud, Lucy, Chocolope, Lavender, Skywalker, Blueberry, and Big Bang trim all infused into the oil. WOW, is all I can say about this batch. 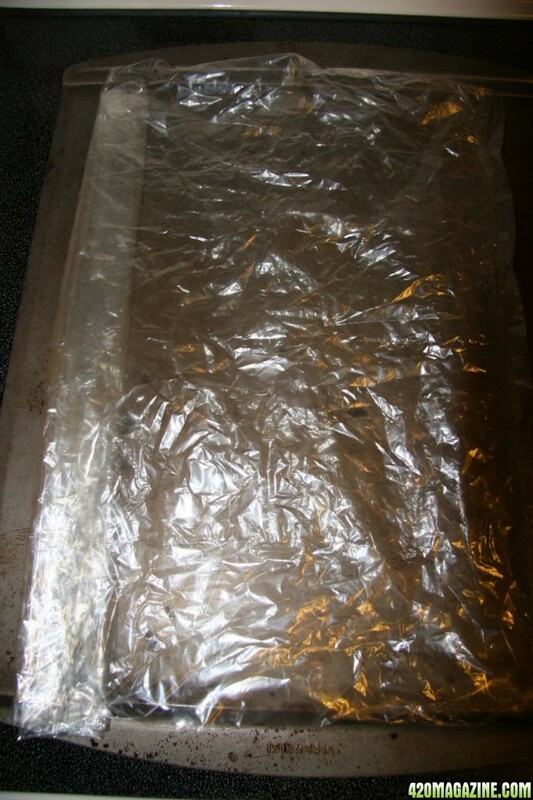 Place finely ground material inside an oven bag. This oven bag with your finely ground shake/bud will be placed on a cookie sheet (or similar baking sheet) to be placed in the oven. Spread the shake/bud evenly inside the bag (but on the cookie sheet) so it's a thin even layer. Fold the open end of the oven bag under at the edge a couple of times so that you are essentially sealing the end of the bag. If possible, leave some air inside the bag when you fold the edge under. Place the cooking sheet with the bag of ground material inside the oven, and turn the heat to 210f (don't pre-heat, just put it in and turn oven to 210f). After 20 minutes, turn off the oven, but leave the herb in the oven for another 10minutes. Next, remove it from the oven and let it cool (inside the unopened bag) fully. It's important to not open the bag while the herb is still warm/hot so that you don't lose anything potency-wise, you want to keep the vapors in the bag. This process actually makes more of the good stuff available in your brownies through a process called decarboxylation, or "decarb'ing". Decarbing helps activate the THC and CBD. Side note, if you just "ate" the ground up material after this step, you'd get high! The brownie recipe I'm using calls for 2/3 cup of oil, so I work with slightly more than that, as a small amount will be lost in the straining process. Use a double-boiler to heat up the oil just under the point of simmering. Think medium to low/medium heat. 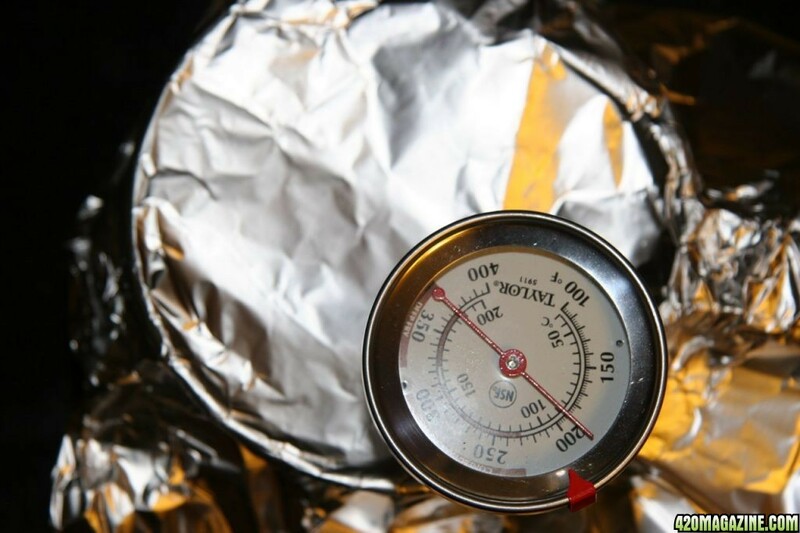 ***I strongly advise the double boiler as it will keep you from overheating/burning the oil - which could make it less effective*** I cover the oil part of the double boiler with tinfoil, and poke a candy thermometer through the foil to measure the oil temperature. I try to keep the oil between 180-200f during this phase, which for me is typically one tick below "medium" on my stove top. If you don't have a candy thermometer just try to keep it in the "medium/low" range and keep an eye on it so it doesn't simmer/burn. Stir it up periodically while heating. Keep an eye on it and stir occasionally. I do this for about 1-2 hours, but it probably doesn't need to be that long (15-20 minutes is probably fine). The longer you do it, the greater chance the oil becomes fully infused with cannabis. 1-2 hours works good for me. Once I've heated for an hour or two I strain it through a straining cloth, or a "metal/gold" coffee filter. You just want the strained oil, not the gritty plant material. It should be a nice brownish/greenish color. You'll find that some of the oil is kinda absorbed into the shake, hence starting with a little more oil than necessary. I do try to squeeze out as much oil as I can. I'm stingy so I usually save leftover oil for future projects, etc. If you've never had edibles: It's a total creeper high that lasts for hours once it hits. Don't over-do the brownies though, my recipe has been refined a few times, and I'm here to tell you it's very effective. My suggestion is to start with one square/piece and give it an hour or two before eating more. DO NOT be impatient, as these can make you uncomfortably high if you over-do it, and unlike when it's smoked, the high can last for hours. Re: Xlr8's Magic Brownies - Step by Step... with Pictures! 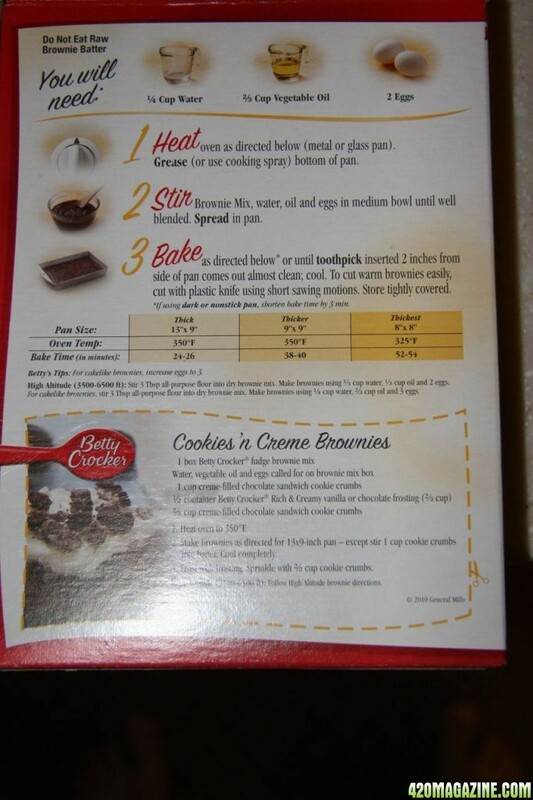 One very small modification I'd make to the box recipe (not yours!) is to lower the temp to 325* and bake a few minutes longer. Since the THC starts to vaporize right around 350*, making sure you stay a little below that number should also help increase potency. Oh!! Good point! I used the 8x8 pan, which calls for 325f, but the other sizes say 350f. I agree, I don't go over 325f. Ghirardeli is a 325f recipe I think, as is this with the 8x8 pan size. Thanks for pointing that out! +rep if it lets me. EDIT - I also just edited my post to cover the 325f bit. Thanks again brotha! I was actually gonna put the "thickest recipe" disclaimer in my last post! Very nice, motivates me to take pics when I make my next batch! Do you think that adding the lecithin while cooking the butter/oil is better than just adding it to the recipe you're making?? Oddly enough my daughter asked a good question one day while I was cooking it that way, she said "Mom, if the lecithin allows fats to break down to be absorbed wouldn't it start breaking down the fats while it's cooking??" That's what I get for having a college bound microbiology major,,, she asks questions I can't answer anymore,,, I miss the good old days of "Why is my poop that color?" questions. That is a good question. I can't say for sure, but I do know that when I added the soy lecithin to the process that the potency factor went up considerably. I wish I knew the answer to your question, though! Did you say you add it to the oil like I do? Have you noticed a difference? I saw your post on another thread and commented - (BadKittySmiles?) knows her stuff, and I've gleaned several things from her like the multiple oils and the decarb method/process. I have added to my butter, I don't do the oil because I honestly hate the taste if I can't water filter it like 4 or 5 times. It's sorta funny that I can't eat my edibles unless the weed taste is virtually undetectable. I'm a giant baby about it!! AND YES BADKITTYSMILES,, that's her,, she's amazing!! Her peanut butter bombs are,,, omg,, I would really kiss that woman just for that recipe alone,,, sometimes just for shits and giggles I make it WITHOUT the canna butter just freaking cuz,,, they're awesome! But back to the lecithin, I think I'm going to hold off on putting it in the butter and just add it to my actual recipe, see if makes a difference this time. I wish I could ask badkittysmiles questions, I cant seem to post to that forum. Its annoying. question- i just made some canna butter. i used 44g of trim from a cpl different strains, along with 19g of sour grape buds, trim and all. i cooked it down with 2 1/2 cups of butter for 12 hrs or so... however i did not bake the shake first, it still will be ok yes? and also, did not add the soy lecithin, could i melt down the already made canna butter then add it in and simmer it for awhile to increase the potency? thanks... i cant wait to make my first batch! I'm sure that will work just fine. I've always done oil to this point, but will do butter sometime I'm sure. The oven process helps maximize the potency, but you can still do fine without that. It's much more effective if your herb is very dry, which is a big part of the oven process. If your shake was good and dry to begin with, then skipping the oven process means less. No matter what, I'm sure you'll get high. I'd mix the soy lecithin right into whatever recipe you used to bake with. So, if that's cookies for example, I would just add like another ingredient in the baking - I think it would still work fine that way. Also, even without the soy lecithin, you should still be able to be successful - but it will make a positive difference in potency if you incorporate it (at least that's been my experience). Oh, and take it slow at first! I just started a batch of butter. I'm going to use the soy lecithin in this batch. I don't see a measurement listed. How much should I use? I'm making a pound of butter with an oz. of MJ. Good question! I use 1 tablespoon when making 3/4 cup of oil. I haven't made butter yet, but I might still go with a tablespoon if it were me. Maybe more. Soy Lecithin is kinda new for me too, and I feel like the amount I use seems to work well with my oil recipe but I'm not sure how that would apply with what you are doing with butter and the amount you are making. They don't always scale. Personally, if I tried it, I'd go somewhere between 1 and 2 tbsp -- just based off instinct and experience, so please take that with a grain of salt (so to speak). I do have 1 tbsp listed above, but you must have missed it (3rd paragraph under Infuse and heating the oil:) It was a long post though, and I had to really look for it, too! Good luck with your butter project - I hope you post your results, I'd love to hear how it worked out. Just a report, made a great batch of cannabutter, made Nanaimo bars with it. This time I water cured it after I hashed it, didn't seem to make much difference in taste but a very seasoned smoker ate two and threw up LOL. I told him to only eat half of one and wait but he didn't listen. I'm sure it didn't help when he was nodding out my nephew woke him up and made him get on the elliptical,,,, it made me laugh. Decarb and lecithin,,, will jack you up every time! Great post X, can't wait to try your method. Bon appetit! Dont know how I missed this post originally, but thanks a ton for the great positive feedback Whitehouse! 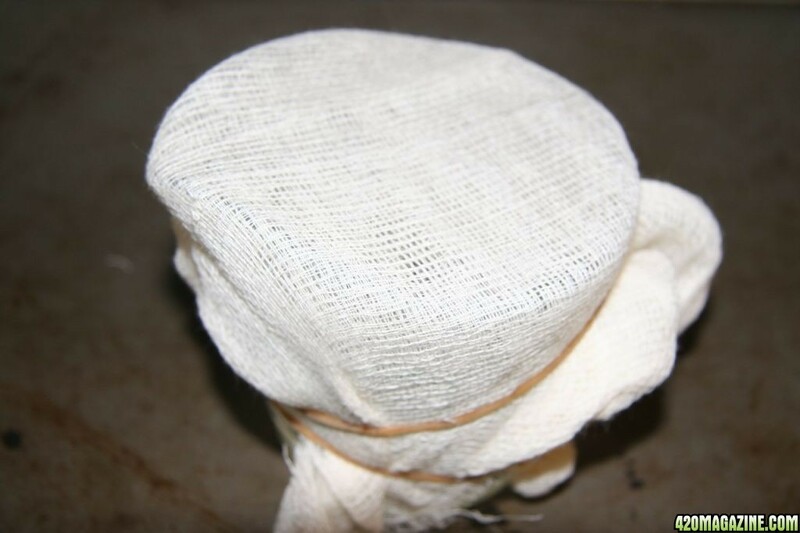 As long as you strain it (I use cheesecloth or a metal coffee filter), you still won't have noticeable plant matter - grinding it finer should also increase potency - so consider giving it a try sometime. Hey man no worries, like you said, i have been grinding it up now cause my tolerance is back. With the same recipe i'm now adding one cup of oil to the brownie mix. I also have to add something to the mix to compensate for the extra oil. At first i was using white flour then spelt flour, now i've found the perfect flour that makes it better then it ever was. Coconut flour, i'm realising that coconuts are kinda like cannabis, very versatile with huge benefits. Olive oil is great in the mix can't taste it directly, what i was concerned about was the nut oils taking over, but that was not the case. I've also taken straight tablespoons of oil in emergency's, and its tolerable, there's no way i could do that with canabutter. Cool - thanks for sharing your tips/mods, WhiteHouse. I'm with you on the coconuts! I must confess, I like to just sample the oil, now and then, too. You hit on something - even though the basis for the thread was brownies, the oil works great for many things. I've used it as a base for salad dressings and it worked great. Ya gotta love medicinal salad! My favorite thing I've used the oil for so far though, is snickerdoodle cookies. The flavors are super complimentary, and the cookies are insanely good with a fantastic kick. I gave some of these too a friend, and he's constantly asking me to make more. My next project is to make the oil in a large enough quality to save it for multiple projects. I've found I prefer to make a lot once, instead of just enough for each thing I bake/cook/prepare. I was wondering if you always make just a small batch, here's the smallest batch I've made yet.